Taking your next step with an Anderson Executive MBA could be the most important step you’ve ever taken. The Anderson EMBA is designed to produce emotionally intelligent leaders with a global perspective. Your classmates are C-level executives, directors, consultants and entrepreneurs from every major industry. Instruction from world-class faculty, rare opportunities to immerse yourself in international experiences, a worldwide network of successful alumni, and practical training bring into focus your future in business. Schedule: 2 week modules each in Singapore (May 2018), Los Angeles (August 2018), Shanghai/Shenzhen (November 2018), Bangalore & New Delhi (February 2019), Singapore (May 2019), Los Angeles (August 2019). 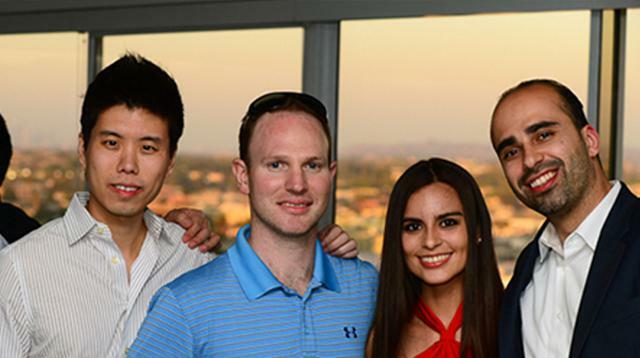 The UCLA Anderson EMBA program places you in a learning environment among peers driving the future of business.The application process ensures we find not only the best students, but also the most diverse group who fit hand-in-glove with our Think in the Next motto. EMBA is the only MBA program that requires management (people, projects, teams, money, and/or data) experience. Learn with other managers moving to a higher level of leadership. The following components are considered in the admissions process: Online application, academic record (4-year bachelor's degree or equivalent), test scores (GMAT, GRE, EA or waiver), professional work experience, recommendations, essay, TOEFL/IELTS and interview.